On the cusp of her blooming sexuality, 16-year-old Sofía (Demian Hernández in an arresting screen debut) relies upon on her younger peers for youthful exploration and companionship. Set during Chile's tenuous post-dictatorship transition to democracy, Too Late to Die Young follows a group of artistic and bohemian cosmopolitans who have fled the cities and relocated to a mountainous enclave outside Santiago. While the adults focus on daily necessities of life like electricity and plumbing, Sofía oscillates between a need to reconnect with her mother and the powerful discovery of her own allure. Writer-director Dominga Sotomayor (Thursday Till Sunday, MVFF 2012) makes excellent use of the beauty of nature with sunkissed images of the rivers and the forests in the lush surroundings. Too Late to Die Young earned Sotomayor the Best Director prize at this year’s Locarno Film Festival. As the first female director to receive this coveted prize, Sotomayor represents a growing surge of female talent emerging from Chile. Dominga Sotomayor studied Audiovisual Directing at Universidad Católica de Chile and earned a Masters in Directing at ESCAC in Barcelona. She developed her first feature Thursday Till Sunday at the Cannes Cinéfondation Residence. The film won the Tiger Award in Rotterdam in 2012 and was screened at more than a hundred festivals. In 2013, she co-directed The Island, which also won the Tiger. In 2015, she premiered her mid-length Mar at the Berlinale Forum, and the omnibus feature Here in Lisbon, produced by IndieLisboa. She has worked with video and photography for various art exhibitions, like Little Sun (Olafur Eliasson, 2012) at the Tate Modern in London. In 2009, Sotomayor co-founded Cinestación, a leading production company based in Santiago where she produces auteur filmmaking in Latin America. 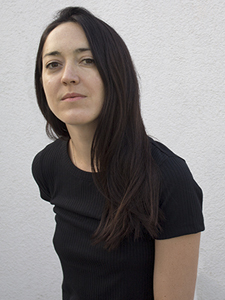 Recently, she has worked on Los fuertes by Omar Zúñiga (in post-production); Murder Me, Monster by Alejandro Fadel, which premiered in the Un Certain Regard section at Cannes 2018; and Raging Helmets by Neto Villalobos. She also co-founded CCC, Centro de Ciney Creación, a cultural centre and arthouse cinema scheduled to open in Santiago in 2019.